At BeadifulBABY we offer a beautiful selection of high-quality genuine gemstones for use in our sought-after Grow-With-Me® bracelets and necklaces. Our gemstones are naturally-occurring gems mined from the earth. We offer multi-faceted and smooth-polished gemstone bead options. 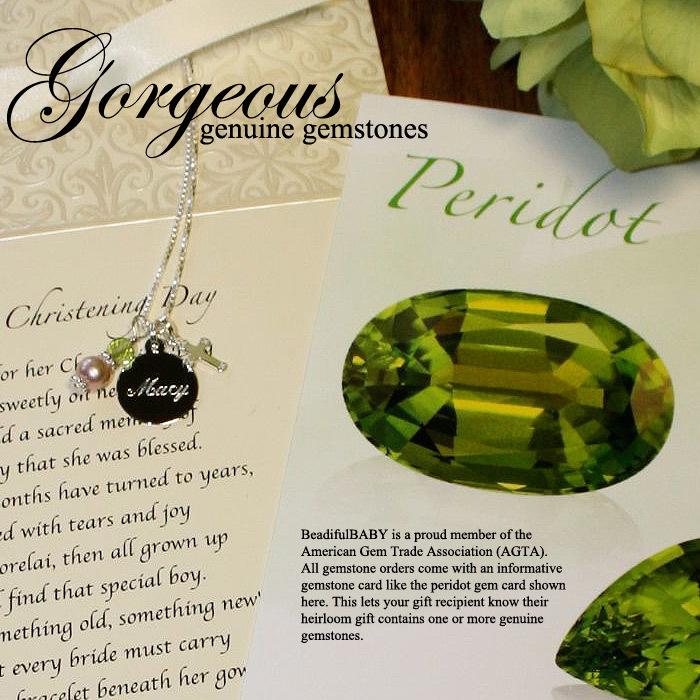 Whether you looking for a specific child's birthstone or just want to pick a favorite gem or color we've got you covered. The faceted gemstones are faceted by hand into a round shape resulting in a beautiful sparkle. The faceted gemstones shown in the chart below range in size from 3.2mm to 4.8mm. Many of these gorgeous multi-faceted gems are also available in larger sizes up to 6.0mm on select jewelry items (see specific items for more details). These gemstones may contain some slight internal inclusions and/or tiny fissures. Some more than others. For example, the pink tourmaline gemstone will have numerous "liquid" inclusions - as this is the nature of the various tourmaline mineral species. Natural-occuring emeralds typically have so many fissures and inclusions that they are prone to cleaving apart when struck and threfore don't make good beads. We offer natural green onyx in place of emerald. The smooth gemstones are polished by hand into a round shape. The smooth gemstones range in size from 3.0mm to 4.5mm. The four smooth-polished gemstone options are the Australian Natural White Opal, the Sleeping Beauty Turquoise, and the White and Mauve/Lavender Pearls. Pearls are considered a gemstone by the Gemological Institute of America (GIA). 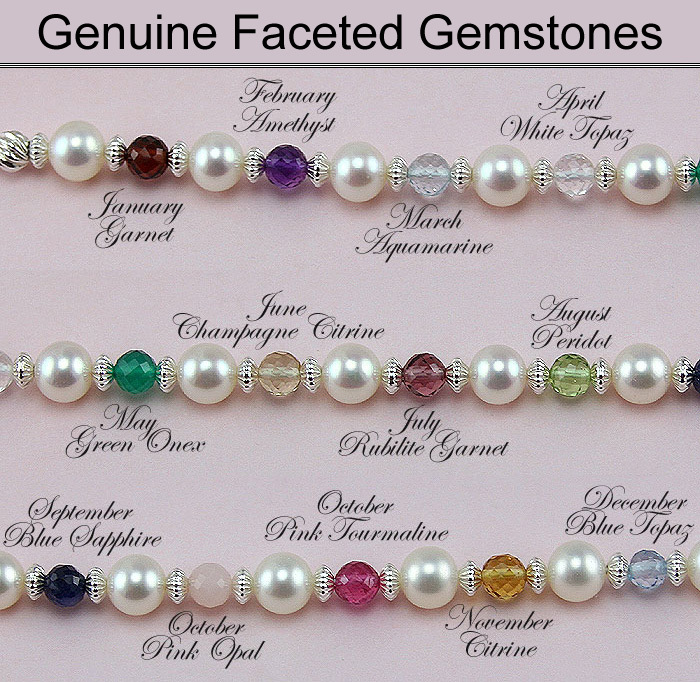 These four smooth-polished gemstones are not shown in the chart below. Round gemstones are more valuable than roundelle (egg-shaped or squashed-looking) gemstones. This is because the gem-cutter must start with a larger piece of gemstone to achieve a beautiful round shape. Learn more about the fine quality materials and components we use in your Grow-With-Me® jewelry.